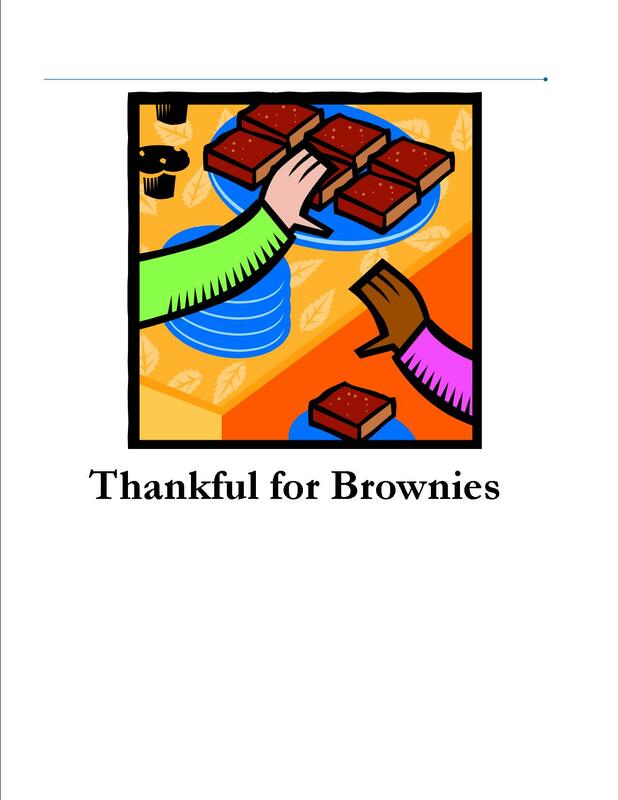 "Thankful for Brownies", by the Nat. Assoc. of Christian Women in Business, is a "Journal/Cookbook. Get 30 Brownie recipes, 30 Scriptures on gratefulness, and 30 tips on how to say "thank-you" to others in the Workplace. A great gift to share for women in the workplace. Chocolate and butterscotch are two favorite mixtures to enjoy. These brownies will be a special treat any time of the year. Combine first five ingredients and set aside. Melt butter in saucepan, add brown sugar, mix well. Cool slightly. Add beaten egg and vanilla, blend. Add flour mixture slowly, beating with each addition. Spread in greased 9x9 inch pan. Sprinkle butterscotch and chocolate bits on top. Bake at 350 for 20 to 25 minutes. Do not overcook. Cool in pan. Cut into bars. Sending an email is still an option to say thank you. Definitely use this on a regular basis to recognize hard work. It’s a good way to quickly give recognition for the efforts of others in the workplace.